University of New Brunswick nursing student Shyane McKay will spend the summer assisting researchers improve the lives of elderly people after receiving the 2018 Summer Studentship Award by the Canadian Frailty Network and the New Brunswick Health Research Foundation. The national competition provides students with interdisciplinary summer experiences that allow participants to gain an understanding of the health and social work environment for Canada’s older adults living with family. Ms. McKay, a student on UNB’s Saint John campus, is working with an established research team at St. Joseph’s Hospital in Saint John, which is helping senior citizens who have suffered falls in hospitals. Throughout the summer, she’ll be reviewing past research, examining data, and delving further into the team’s findings. “My interest in frailty among older adults began during the first year of my nursing degree, as I had the opportunity to be placed at a nursing home. It allowed me to appreciate the complexity of caring for older adults as well as the impact nurses have on their lives,” says Ms. McKay. The Canadian Frailty Network’s mission is to improve the lives of older adults who are living with frailty and provide them with highest quality care. The Canadian Frailty Network and the New Brunswick Health Research Foundation collaborated to fund two New Brunswick students with $4,000 each and provide them with summer work terms working with frail senior citizens. Ms. McKay was one of 10 award recipients across Canada. To be eligible, students must be a full-time undergraduate student at a Canadian university. Students across Canada are evaluated and selected based on their work experience, academic ability and future interest working with older adults. Ms. McKay will have the opportunity to be part of group discussions regarding Horizon Health research projects and, as part of her award, she will participate in Canadian Frailty Network webinars and discussion boards. Ms. McKay will also be travelling to Toronto in September to present an abstract and poster board displaying her findings at the Frailty Matters Innovation Showcase. 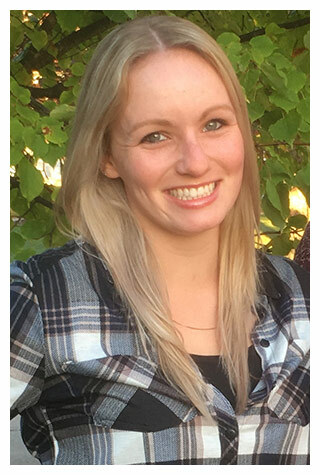 “I will be graduating with my nursing degree in May 2019 and would love to pursue a career that involves improving the lives of older adults,” says Ms. McKay.